Sign ordinances help cities reduce visual clutter, and protect property values. It also can help enhance the character of a community, and promote public safety. Always check your local laws before installing an exterior sign, to make sure it’s allowed. Every town has different rules, but we’ve worked all over the metroplex, and we can help you navigate the sign codes and permit application process. 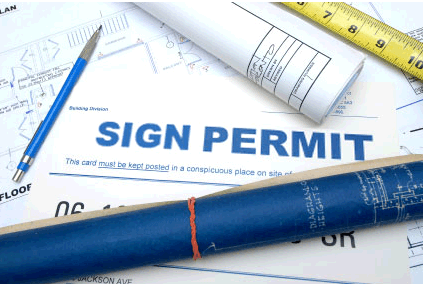 We also offer a turnkey service to handle the sign permits for you, start to finish. Prices range from $75 to $650 for the city, plus our service fee if you hire us to do the site survey, draw up the applications, or handle the permits entirely.